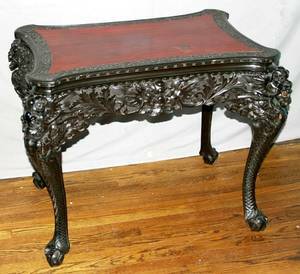 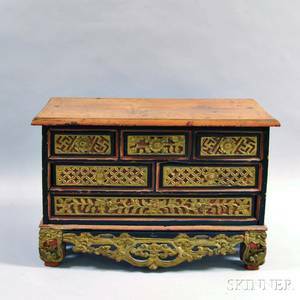 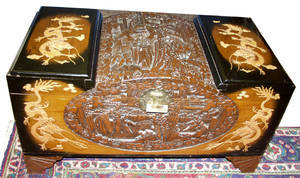 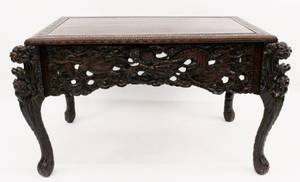 Chinese carved teak writing table with rectangular top with meandering key border raised on an ornately carved apron with floral and dragon decoration. 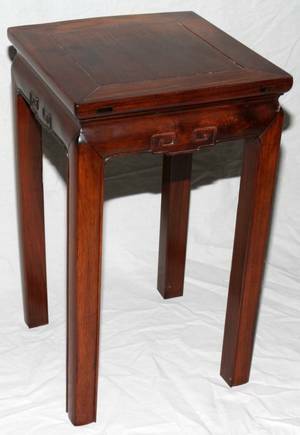 Knees with heavy scrolling and animal face on thick cabriole legs with scaled texture terminating at ball and claw feet. 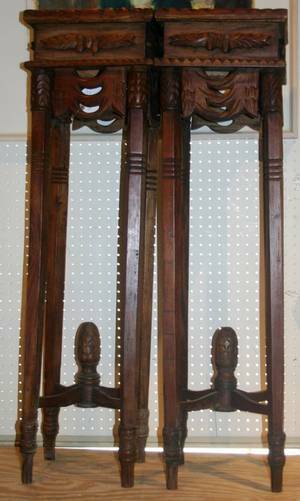 Height 31", width 49", depth 30". 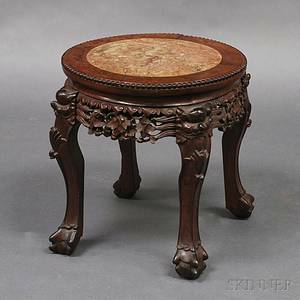 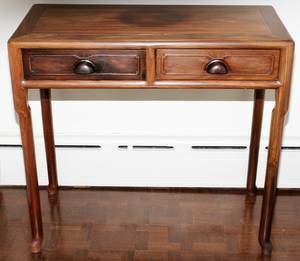 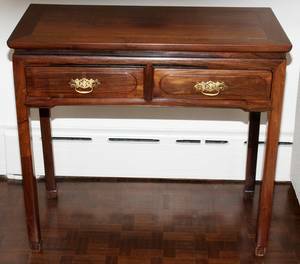 091560: CHINESE SMALL TEAK TABLE, H 24", W 14"
022304: CHINESE CARVED TEAK PEDESTALS, PAIR, H 43"